They say inspiration is everywhere, but some cities are definitely more inspiring than others! Gallereplay artist and NYC-resident Jimmy Cheung shares how “non-stop New York” keeps him motivated. gallereplay: Most of your work is set in New York, a city famous for creating brilliant visual artists. How do you think its atmosphere and environment affect your work? Jimmy Cheung: New York City is definitely one of the busiest cities in the world. Its busyness is the key motivation for me to create. Working in the cinemagraph medium started for me with moving to New York City; I find its liveliness and ever-changing backdrop inspiring. Being in a nonstop environment surrounded by creative people pushes my thinking. gallereplay: Tell us a little bit about why you moved to New York? Do you feel like a New Yorker now? Jimmy Cheung: I’m originally from Hong Kong. I moved to New York about a year and half ago for my college education. Moving here was pretty easy for me since the city is very similar to home. The hardest thing to get familiar with was probably the metro system because the direction signs and the weekend construction work is pretty confusing for first time visitors. Yes I would say I’m a New Yorker. gallereplay: Do you have any particular areas of New York you enjoy capturing the most? Any advice for our artists who might be visiting the city? Jimmy Cheung: I enjoy finding new locations constantly. For people who might be visiting the city I definitely suggest not only seeing the tourist attractions but also wandering around. You’ll be amazed at what you can find. Meeting locals who are willing to show you around is also a great way to get to know the city. Behind-the-scenes on one of Jimmy’s fashion-themed shoots in New York. gallereplay: Tell us a little bit about your favorite cinemagraph shot in New York. Jimmy Cheung: My skateboarding cinemagraph is one of my favorites. I had always wanted to do it on a rainy day so the street lights would reflect from the ground. First I took shots of my buddy Cash jumping off the rock. Next I had him holding the skateboard, and took the timelapse of the traffic after that. At the end I composed all three shots together. gallereplay: Your work also includes some very impressive cinematic material. Do you have a different creative process when you’re creating cinemagraphs than to when you’re working on a ‘conventional’ project? Jimmy Cheung: Thank you! Yes, when working with more complex projects, distilling ideas and planning takes time. Preparations such as props, time, location and weather play an important role, but are a common thread across projects of different complexity. gallereplay: Do you have any plans for an upcoming cinemagraph project? Is there a particular direction you would like to take for your next cinemagraphs? 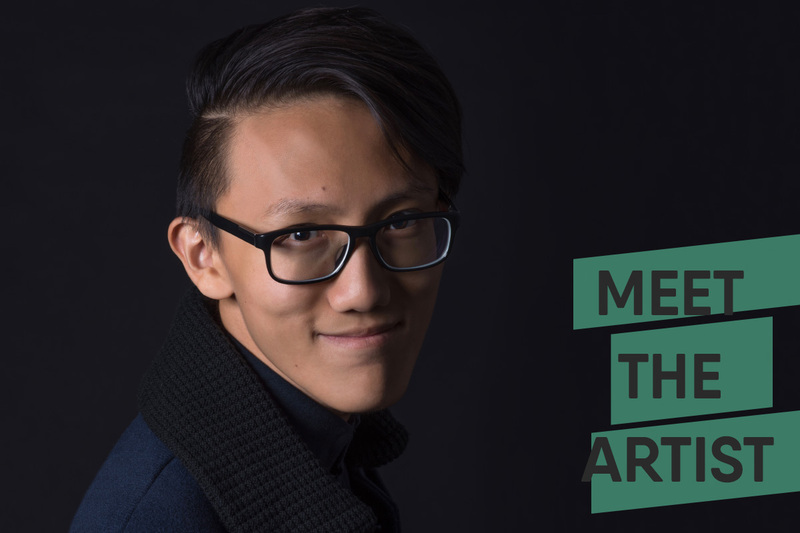 Jimmy Cheung: I would like to incorporate more props and multi-layered movements into my work. I’m also interested in moving light effects and how they affect the subject. I can’t wait to bring them to life very soon! For more of Jimmys’ cinemagraphs, check out his gallereplay profile page!